Get your Master Chief helmet ready. If there’s one rumor that just won’t die, it’s the whole “Halo might come back to the PC” thing. There hasn’t been a real Halo game (i.e. a shooter) on PC since Halo 2, but people still hold out hope. And look, there’s Microsoft standing in the corner with a half-empty can of gasoline watching the fires burn around Halo 5. Thanks to that “There’s nothing new to announce at this point” bit, this is still strictly in the realm of rumor/speculation/babbling/things-Microsoft-regrets-saying. But come on. Microsoft’s essentially dangling a copy of Halo 5 over your PC and asking you to make an offering at the weird Master Chief shrine you keep in your closet. If this doesn’t come to pass, people are going to remember this moment when they write angry Internet screeds in ten years. 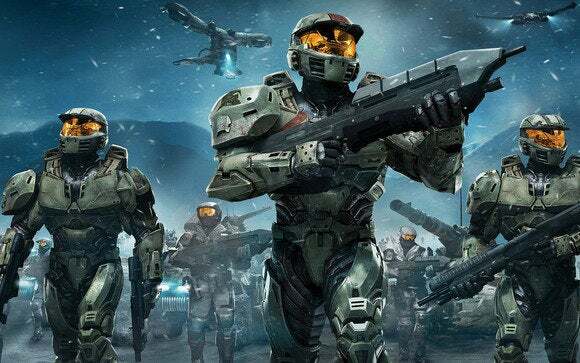 It’s possible Microsoft is sitting on an announcement hoping to sell as many copies of Halo 5 for Xbox One next week—despite all the rhetoric about Microsoft loving the PC, it’s clear the living room is still their priority. But this is the strongest Halo-on-PC rumor cycle in years, and it’s not going to die down as long as Microsoft employees keep tossing Doritos on the fire. Keep an eye out.